Beautiful by day, magical by night. 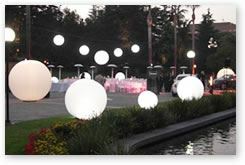 An array of creative and unique illuminated décor elements to hire for your special event. 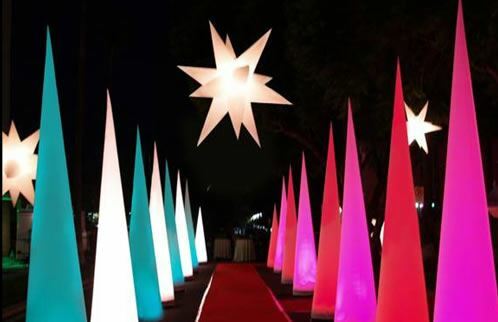 Make a powerful, visual statement with these affordable, three-dimensional, illuminated, cones, stars, columns and sphere sculptures. Internal lighting in any colour, creating a mesmerising ambience. Drive traffic to your product, event or place of business with these larger-than-life sculptures. Brand your event with customised pieces that include your logo or message. 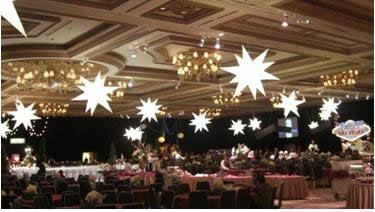 Turn on the power of Star Hi-Lights to create a dramatic yet elegant ambience. Softly illuminated from within, these designs bring the ultimate night sky to any venue. 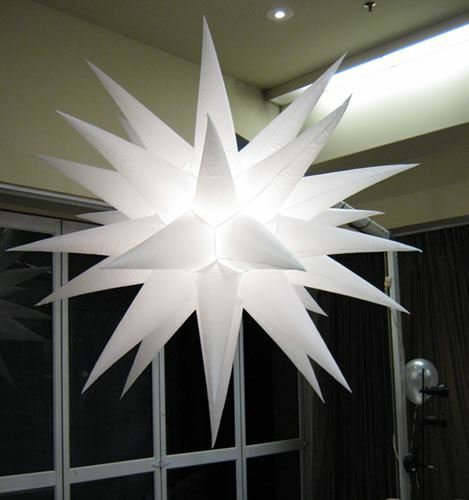 Equally effective day and night, Star Hi-Lights provide universal appeal. They are perfect as an accent to a contemporary or as the main décor element for an event. Standing Hi-Lights are easily installed with no rigging required. 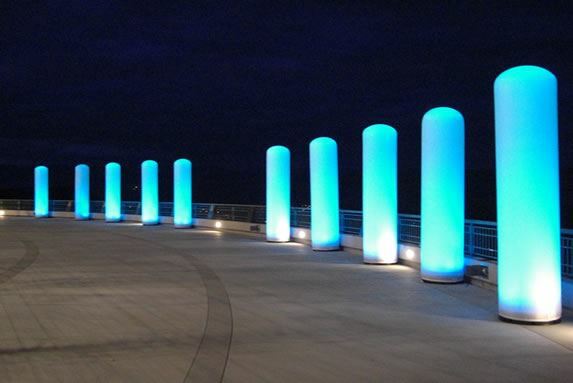 Available in a variety of shapes, these lighted accents can be used day or night. 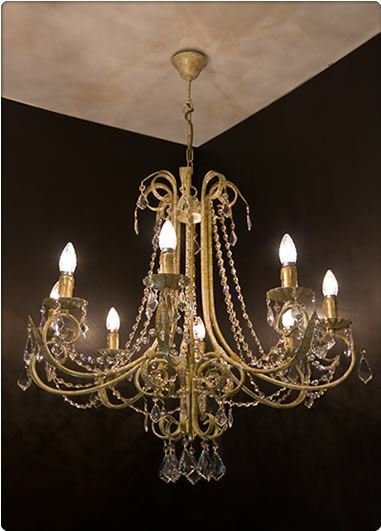 Consider them for dramatic entrance ways, room partitions, stage treatments or as décor. Ideal branding tool at exhibits, shows, product launches, special events and any marketing or promotional activity. 3mtrs height x 750cm diameter. Available in a variety of shapes, these lighted accents can be used day or night. Consider them for dramatic entryways, room partitions, stage treatments or as décor. They also feature a large surface area that when customized with your logo, makes them an ideal branding tool at exhibits, shows, product launches, special events and any marketing or promotional activity.